The Wireless Systems Bureau is an essential in-house support function at the department that is responsible for the design, coordination, construction and maintenance services for statewide radio, voice and data telecommunication systems. A common misunderstanding about the bureau is that it only supports department radio systems and equipment. However, the critical microwave backbone that makes the bureau’s communications work possible is a state-wide asset, supporting communications back-haul to federal, tribal, state and local government agencies. The bureau is comprised of three sections: Systems Maintenance, Budget and Billing, and Engineering. The Systems Maintenance Section is responsible for maintaining hundreds of public safety land mobile base stations for AZDPS and other state agencies. In addition, the section is responsible for maintaining thousands of mobile and portable radios for AZDPS and other state agencies. The section also maintains an analog microwave statewide network. 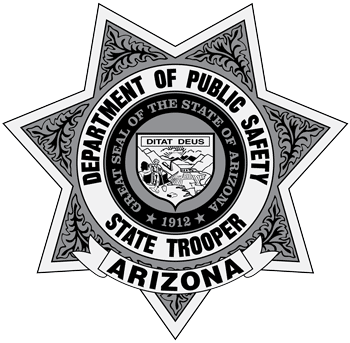 The Budget and Billing Section handles all of the financial affairs of the bureau including the funding of all telecommunications services including telephone service, computer network connectivity to all AZDPS facilities, ACJIS connectivity to all law enforcement agencies and other criminal justice agencies in the State. The Engineering Section provides a wide array of engineering and design support for all AZDPS communications systems and various other agency communications systems.